Semi-Direct Lighting is the kind of lighting provided from a source without reflection from other surfaces. In daylighting, this means that the light has travelled on a straight path from the sun to the point of interest. In electrical lighting it usually describes an installation of ceiling mounted or suspended luminaires with mostly downward light distribution characteristics. Direct Lighting ( 90 to 100 percent of the light is directed downward for maximum use. Indirect Lighting( 90 to 100 percent of the light is directed to the ceilings and upper walls and is reflected to all parts of a room. Semi-Direct Lighting( 60 to 90 percent of the light is directed downward with the remainder directed upward. Semi-indirect Lighting ( 60 to 90 percent of the light is directed upward with the remainder directed downward. A glass reflector directs 60 to 90 percent of the light toward the work area, and 10 to 40 percent toward the sides and top of the globe. They usually consist of a lamp(s) enclosed in a prismatic or opalescent glass. This arrangement conceals the light source, diffuses the light and reduces glare. 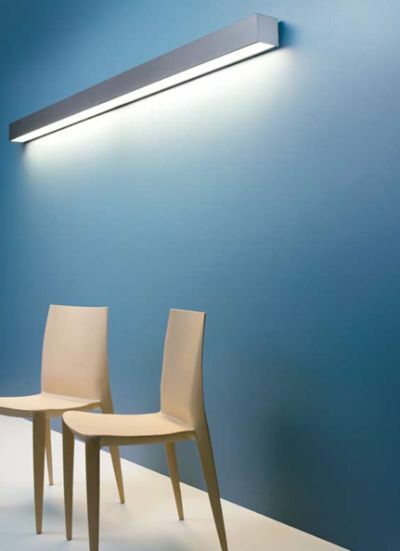 The lighting distribution that is characteristic of a given luminaire is described using the candela distribution. The relative proportion of the luminous intensity that is distributed upwards and downwards determines the lighting pattern. If 60-90% of the luminous intensity is projected downwards then it is called semi direct lighting. Since semi direct lighting requires diffusion of light to cut down glare, the light source needs to be enclosed in prismatic or opalescent glass. The glass enclosure can also have cuts or opening on top to reflect 10-40% of the light on to the ceiling. Proper utilization depends on ceiling reflection. Light colored ceilings are preferred because they direct the diffused light back downwards. 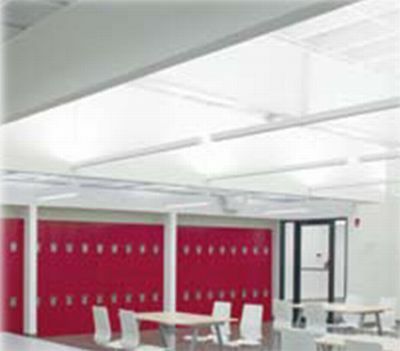 Use of dark colored ceilings makes the light source stand out increasing the glare and causing discomfort. Where is Semi-Direct Lighting system installed? Semi direct lighting is good for stairways, corridors, and storage areas. Semi direct lighting is used in commercial spaces like shopping malls and restaurants because they cut down glare and soften the ambience. Semi direct lighting is used in places where strong light is not required eg. Semi direct lighting cannot be used in offices where light has to be focused on work tables. 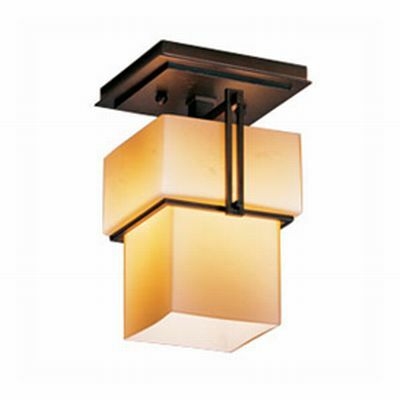 Well suited for zonal or accent lighting. Can create a vivid environment with attractive light and shadow patterns eg. on wall surfaces. The shadows produced by semi direct lighting are diffused and do not cause discomfort.